Established in 2004, Involve Swindon is a network of companies, statutory bodies and voluntary organisations working together to encourage businesses and their employees to give their time and develop their skills through volunteering in the local community. Business sector representatives include: Zurich Community Trust, Nationwide Building Society, Intel Arval, Thames Water , Jaywings, and Vets4Pets. 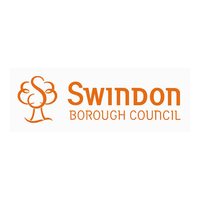 The statutory sector is represented by Swindon Borough Council and the voluntary sector by Volunteer Centre Swindon and Voluntary Action Swindon. Each year through us, over 600 employees from around 20 businesses get involved in volunteering opportunities ranging from one day team challenges to the more regular commitment of becoming a charity trustee. Each year in May and November, we bring together up to 80 representatives from local businesses and voluntary groups for a networking event to exchange experiences and develop relationships. In 2014, we were awarded the Big Society Award by the then Prime Minsiter, David Cameron, for our commitment to supporting and developing employee volunteering.